A celebration of ‘music and sail’ this annual festival is in it’s 14th year, growing in popularity and success each year. 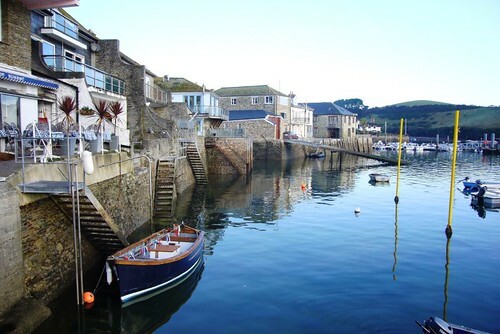 The festival is held throughout the town and the estuary and uses a variety of entertainment and hospitality in its broadest sense, to help showcase this beautiful coastal resort, certainly a contender for any family summer holiday. There will be jazz, rock n’ roll, blues, folk, gospel, close harmony, steel, brass band and classical music on offer. There is also the infamous and crazy ‘Bang and Go Back Race’ whereby a bizarre collection of old Stuart Turner, Brit engine and Diesel class boats race backwards and forwards across the start line with their engines locked at a constant speed. Boats have to change their speed using passengers moving from the bow to the stern of the boat, changing direction every time the hooter goes and first one back to the start line when the final hooter sounds is the winner. On Island Street, known as the ‘Festival Fringe’ you can listen to steel bands while peering into boat sheds to view craftsmen using traditional techniques to look after their various boats. If you wander around the streets there will be entertainment aplenty with street performers, singers and buskers as well as jugglers, Punch and Judy, storytelling, face painting , a barber shop quartet, sea shanty singing and the ‘Stiltskin’ walkabout theatre who bring a new creation every year. The festival is free to attend, although there will be fundraising going on through the weekend for charity. To get more information, go to their website here. If the sound of this festival tickles your fancy and you’re considering getting a holiday cottage in the area then you’re in luck as our main website, HolidayCottages.cc has a large array of beautiful cottages in and around Salcombe. This entry was posted on May 20, 2010, 3:31 pm and is filed under Coast, Events, Festivals, Fun, Uncategorized. You can follow any responses to this entry through RSS 2.0. You can leave a response, or trackback from your own site.